OK, so some edit suits aren't too intimidating. Don't forget, the editing profession is relatively small and editors will quite regularly talk with each other and discuss current and future projects and in these conversations assistants names will come up, sometimes in a good light and sometimes not. Be memorable for the right reasons and not the wrong ones by being aware of your actions and manner. Some people already have this ability and will find this easy while others may not. Here are a few points for those who'd like to know a little more about what I'm talking about. Present yourself well. No matter what your feelings on this your attire will project your professional image to others. I'm not saying where a suit and tie but what I am saying is don't turn up in the clothes you wore the day before or in a torn tee-shirt. Make time in the morning to grab clean clothes, a shower and get the hygiene under control. There, I said it! Be punctual. Sometimes you will need to do extra early starts to sort out issues form the day before, plan for it and go that extra mile. You may also need to stay later than expected to help deal with issues too, don't kick up a fuss, get your head down and get it done. This attitude shows you're professional and reliable, key traits of a good Assistant. You need to be neat. This means making sure you appear neat as well as being neat in the edit suite. You'll need to have everything to hand and know where items are. Ths extends to things like where do they keep the backup drives? Are notepads post-it notes and pens available? Where is the production shooting today? Even knowing where the editor put their car keys that morning!? Relationships are hard. They have to be worked at. Good communication is key to keeping any relationship alive, this is never so true when helping out on projects. When you are working with an editor, especially for the first time, it's important to understand how they are as a person. Ask about if others, such as runners and other assistants have worked with them. What time do they like to start? Do they work late in the day? Are they a coffee or tea person? If you know their name Google them. See what they have done before and try to get a feel for their quality of work. That said, the most important thing to do is to get to know them in person, second-hand information isn't a full picture of someone's persona, but it's a start. Some people you just click with. You just 'get' each other. You may be lucky to have that on your project, or you may find it takes some time to get to know someone better. In either case, you are establishing a professional working relationship. Make sure you are polite and respectful. Be clear in your communications and offer information at the right time. Don't overshare personal facts, we don't need to hear it, honestly, we're here to work first and foremost. Don't spend too much time chatting with them either, they're there to work to a deadline, as are you. 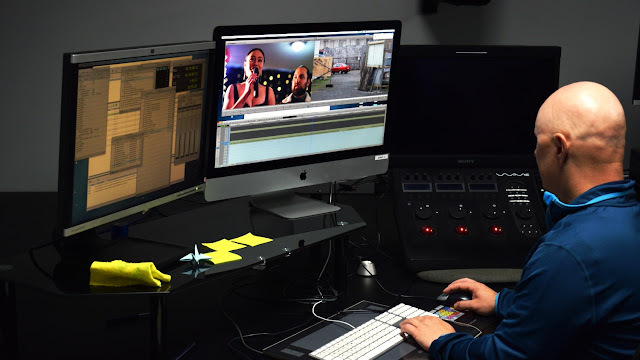 The edit suite is where you will learn about the dynamics of the production and the relationships between producers, directors, and editors. 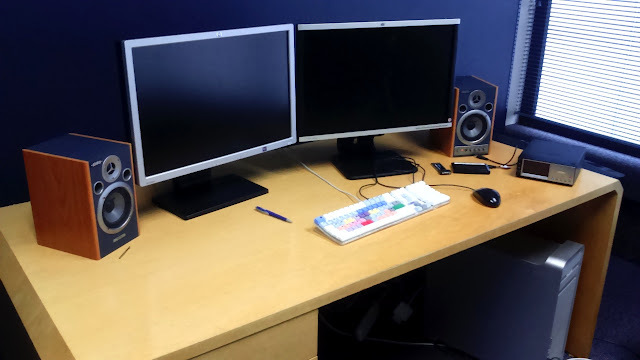 You will be privy to conversations that should remain in the edit suite and go no further. Keep your professional integrity and do not gossip and share privileged information, if you do, this will kill your career dead! If you are unsure of anything always ask. If you're asking more than twice about the same thing then you're not paying attention. Most people are more than happy to help, but if their advice and comments aren't being heeded then you will start to lose their trust very quickly. Try not to test peoples patience. Don't be distracted by your phone and use it during meetings. Show you're paying attention and not being distracted from the task at hand. Limit personal calls to 'alone time.' Leave the room if you need to take a personal call and you are working alongside others. "Apologies I need to take this." The Editors role can be very stressful. As deadlines loom larger and producers demands become ever more frustrating, this stress can bubble over. Try and be sympathetic to these pressures. Your main task is to be supportive. First and foremost this is professionally and technically but as you get to know each other this can be creative support and dare I say it, emotional support. 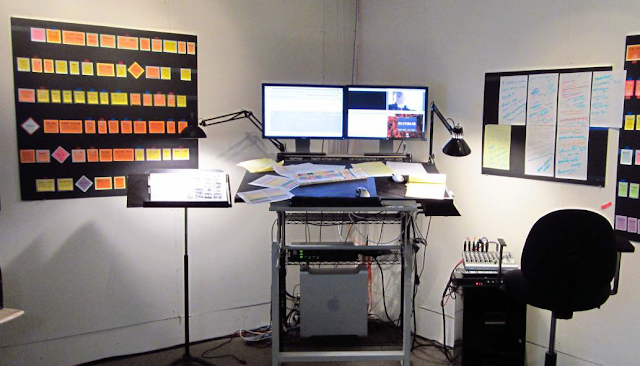 Editors like to have their projects and bins organised in a very specific manner. Get to understand why they want bins organised this way and make sure you keep their needs in mind in your day to day work. If you understand why they want it presented in such a manner it gives you a valuable insight into the way they work and this means you learn for the next project too. Eddie Hamilton bin organisation. Something to aspire to. To help make an impression listen to their frustrations and see if you can help out. Perhaps it's as simple as the bin fonts are always too small for them. Change the bin fonts sizes in the settings to make them big enough for them to see. If the Sound FX library is badly organised, organise it for them without being asked. A coffee ready at just the right time of day can be equally just as important. Editors need to know where every clip is so they can make use of it. Finding clips can be frustrating. If they're sure that a clip exists but it can't find it, don't dismiss it as bad memory or imaginary. Help them search for the clip in different ways, perhaps based on the shoot date or the reel number. If you can't find the shot there's no need for 'I told you so' it's just not professional.